The SF Beer Week is celebrating its 11th Annual Anniversary and the San Mateo County/Silicon Valley area is once again joining in the fun! For those that may not be aware, SF Beer Week is a collection of events spanning multiple days, celebrating craft beer and the craft beer community. This year, Beer Week will take place from February 1-10, and it is loaded with special events, fun times and, of course, great beer. Breweries, venues and distributors from across the entire San Francisco Bay Area are participating, so we’ve listed some top events featuring some of our local partners to help you better plan your celebration! The grand celebration kicks off on Friday, February 1st with the SF Beer Week Opening Gala at Pier 35 in San Francisco. The gala is the largest gathering of the Northern California craft beer community and it’s the start of the nine-day craft beer festivities. This year’s gala will feature 125+ Northern California breweries and will include some of our local favorites such as Armstrong Brewing Co., Half Moon Bay Brewing Co., Freewheel Brewing Co., Hop Dogma Brewing Co., Sacrilege Brewery, among others! Tickets are still available but are sure to sell out - so make sure to purchase yours now. Northern San Mateo County is also joining in the fun and Armstrong Brewing Co. Is leading the way! 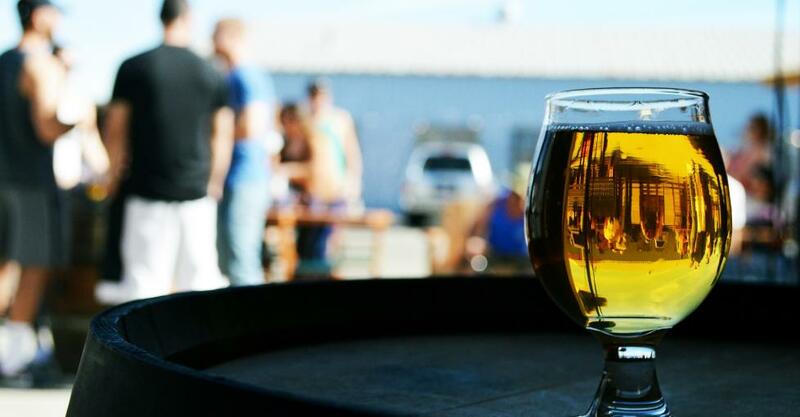 Located in the heart of downtown South San Francisco, Armstrong has lots of fun events planned for SF Beer Week that are sure to keep you busy. Some of the events include their Any 4 Beer Can Fill on Tuesday on February 5th, a Craft Beer Trivia Night on February 6th and their Special Sour Beer Flight event on February 9th. If you won’t be able to make it to Armstrong Brewing Company this week, they will be a part of Firkin Fest at Freewheel Brewing on February 7th as well as a Beer & Slider Rooftop Party at Waystone SF on February 2nd. More events are being added so make sure to visit Armstrong&apos;s website often to find out the latest updates! Now, if you happen to be in Redwood City during SF Beer Week, then you have to visit Freewheel Brewing Co. The brewery has lots of events planned for this week, most notably their 4th Annual Firkin Friends Fest on February 7th, where they invite some of their local brewery friends to take over their Beer Engines for one-night only. This is a mini Cask Ale festival with some of the Bay&apos;s best breweries such as Alpha Acid Brewing Co., Hop Dogma Brewing Co., Armstrong Brewing Co., among others. Freewheel is also hosting Joe Hawk’s Rockin’ Trivia on February 4th and their 4th Annual Battle of the Brew Clubs on February 10th - both events promise to be great fun! The fun doesn’t stop there because Freewheel will be hosting an Art Show and Beer Release on February 2nd and a Good suds Comedy Show on February 6th. Be sure to check out there Facebook page for other exciting events coming up! If you’re looking for a coast side brewery, then Half Moon Bay Brewing Co. is the perfect place for you! If you happen to be on the coast the morning of February 3rd, the Half Moon Bay Brewing Company will be throwing a Super Bowl Party. So head in and don’t miss the Super Bowl Special of 4 pints of beer and wings of your choice! They will also be hosting Beer and Tapas on February 5th with some small bites and a special selection of beers including, Tomorrow is Cancelled (West Coast Double IPA), Peaches and Cream Belgian Blonde, Bourbon Barrel Aged Damage Inc. Imperial Stout and a few more. Purchase your tickets today! Be sure to join Pedro Point Brewing for their Tap Takeover on February 7th at Hopwater Distribution in San Francisco. This Coastside Tap Takeover consists of 3 other coast breweries from 5pm to 10pm be sure to get in on the fun! Restaurants and pubs are also celebrating SF Beer Week and Gourmet Haus Staudt is leading the charge! Starting things off with a Beer Tap Takeover by Modern Times Beer on Saturday, February 2nd, followed by a Lambic Event the next day. Next, GHS will be featuring beer from OEC Brewing (Ordinem Ecentrici Coctores) on Thursday, February 7th. OEC Brewing specializes in making extremely complex and unique blended sour ales that are rarely seen in California. Finally, to close Beer Week off, Gourmet Haus will host a Barrel Aged Event on Saturday, February 9th, where they will be tapping into an assortment of different barrel aged beers both strong and sour! Ever wanted to do Beer Blind Tasting with a Master Cicerone? Well, The San Francisco Wine School will give you the opportunity to do so this Beer Week by hosting a Blind Beer with Master Cicerone® Rich Higgins on February 4th from 6:30-9:00 PM. Don’t forget to register to taste different beers, improve your palate and learn new techniques with master cicerone Rich Higgins. Lastly, if you want to take part in the celebration but aren’t sure which breweries to visit, then SF Adventure Tours has you covered! “The Hazy Train” SF hazy IPA tasting tour offers the perfect opportunity to experience some of the best of San Francisco Beer Week in style. The tour will be led by Certified Cicerone Eric Schaefer, and will take place on February 2nd. The tour includes tasting flights at three breweries, a private facility tour at one of them, canned craft beer between stops and a special gift. Make sure to purchase your tickets soon since space is limited. So, head out there, meet at cellarmaker and bring your thirst for the best beers in the City on this adventure!